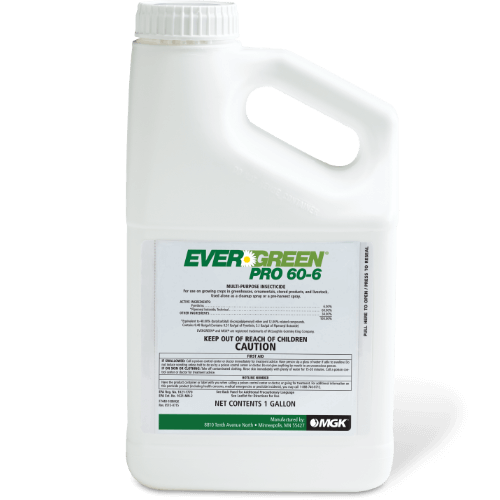 EverGreen Pro 60-6 Concentrate is a multi-purpose, water dilutable, contact insecticide for use in and around barns, dairies and poultry housesEverGreen Pro 60-6 Concentrate is a multi-purpose, broad-spectrum, contact insecticide that excites pests out of hiding for a faster, more complete kill. Effective against residential and commercial pests, including cockroaches, stored product pests, flies, mosquitoes, spiders, ants and fleas. Reference the product label for the full list of pests killed or controlled. EverGreen Pro 60-6 is an effective solution to challenging conditions. What package sizes are available for EverGreen Pro 60-6?